Click dot on the field to toggle player name on/off. Click player name in list to toggle highlight on/off. Welcome to the Next Gen Stats Player Tracking Experience! Read below for a quick walkthrough of what you will see in this experience. The field represents the playing surface. As the game is being played, you will see the real-time movement of every player and ball along the field derived from the NFL’s Next Gen Stats player tracking technology. 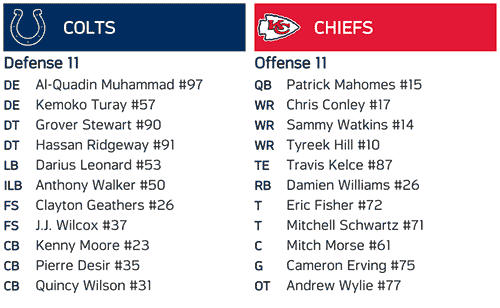 The player list adjacent to the field shows which players are currently on the field. Clicking on a player will highlight the player on the field. Additionally you can click on a moving dot to show a player’s name. If you’d prefer to see each player’s jersey number rather than position, press the toggle below the field. 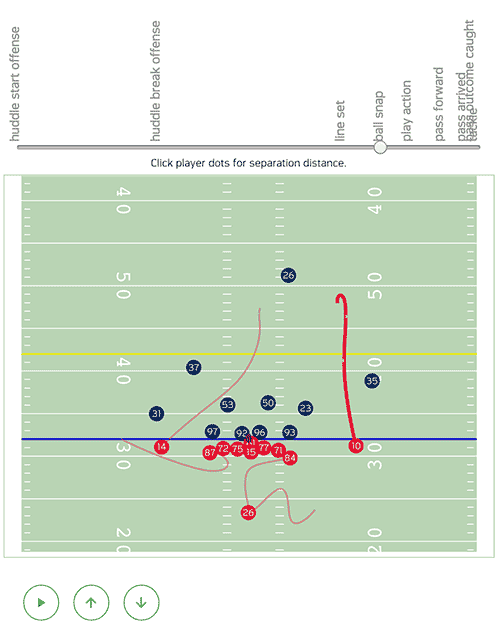 Click on any play description in the ‘Play Diagram’ section to rewatch the given play using our tracking data. 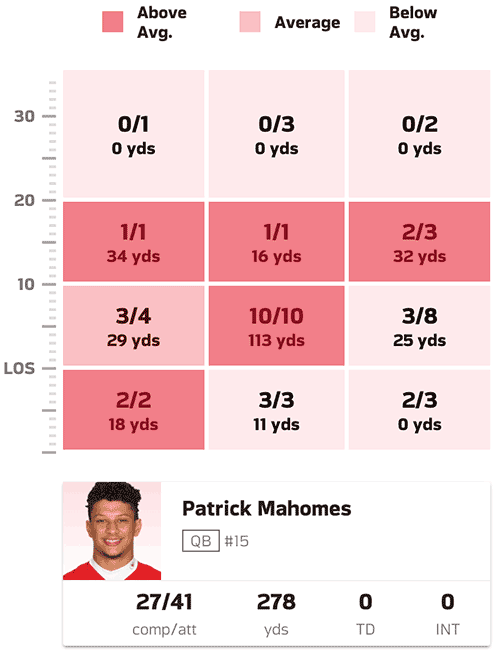 The player stats section contains box score stats and positional stats such as passing grids, rushing by direction, receiver separation, and quarterback pressure.